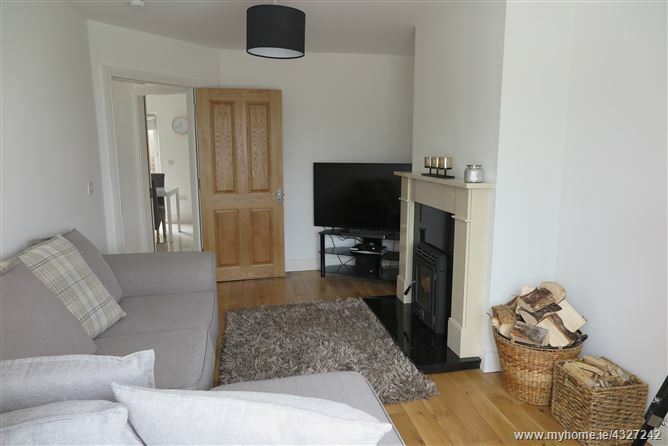 This is an extremely well finished four bedroomed semi-detached property. Accommodation briefly consists of entrance hallway, living room, spacious L shaped kitchen/ dining room, utility and guest WC. 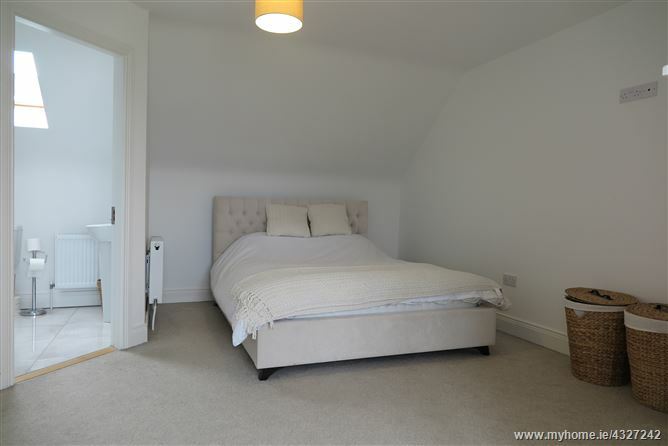 The top floor has master bedroom with en suite bathroom, built-in wardrobes on both sides of windows. Ample storage. 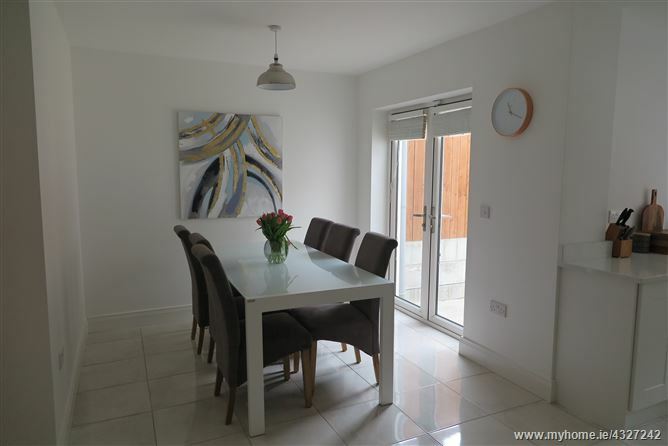 This Family Home is very tastefully decorated and a credit to its current owners. 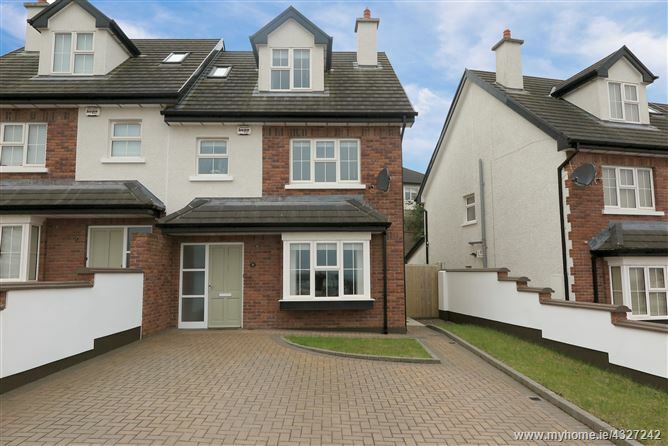 The property is located just outside of Cork City within minutes of the Kinsale Road network with access to the link roads. There is a regular bus service to and from the estate. This development is very family orientated with easy access to all necessary amenities. Coming in through Manor Farm, continue straight along, turn right to Ardcahon Drive. 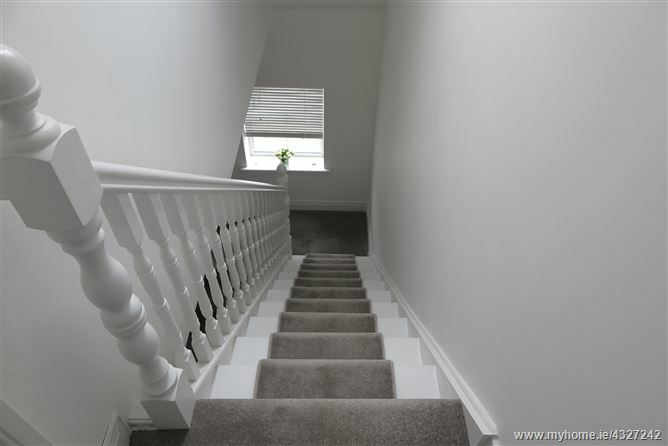 The property is half way up on your right hand side with agent’s sign displayed. Air to water heating system – very economical and energy efficient. 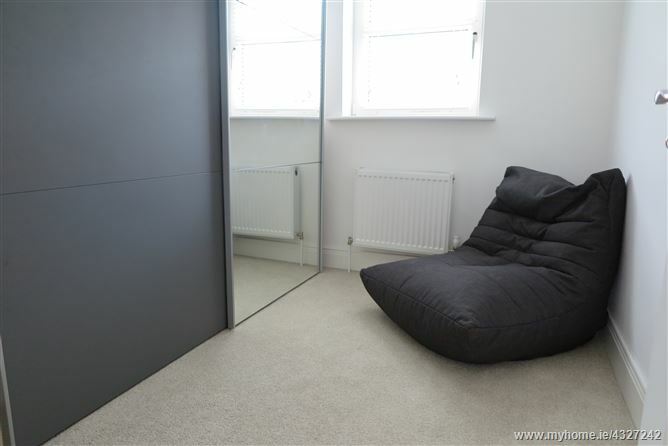 Exceptional condition throughout. Turnkey family home. The entrance boasts a solid painted front door with frosted glass insert paneling. High gloss porcelain tiles, 1 central light fitting, under stairs storage and alarm controls in the hallway. Guest WC. Wooden floors, bay window overlooking front of property with venetian blinds. There is 1 central light fitting, smoke detector and carbon monoxide detector. Feature fire place with an in built solid fuel burning stove. Two double sockets & TV point. High gloss tiles continue in from the hallway. L shaped built in modern kitchen. 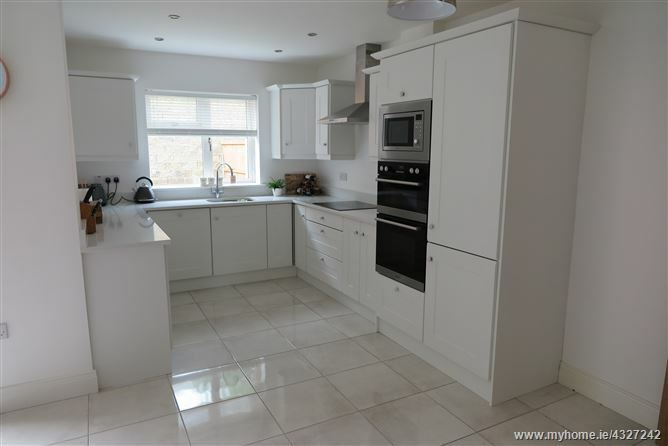 Room consists of a painted solid wooden kitchen with a Quartz worktop (white with grey vein). There is a window overlooking the back of property with venetian blinds, there are 5 double sockets over counter. There is an integrated double oven & microwave oven. Integrated fridge freezer & integrated dishwasher. DINING ROOM (3.7m x 1.9m) has one central light fitting with two double sockets. French doors leading into the back garden both with venetian blinds. Plumbed for washing machine. It has a counter top over washing machine and shelving over. There is 1 central light fitting. Window overlooking the side of property with one double socket over the counter top. 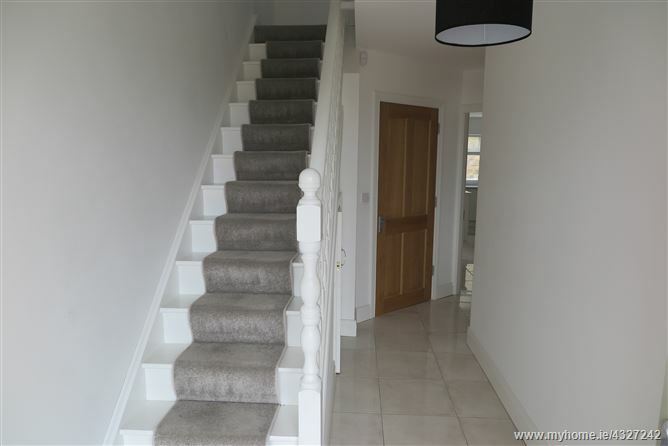 Painted solid wooden stairs with a runner carpet up to the landing, landing is fully carpeted. Two central light fittings in the landing. Hot-press is located on the landing. Window overlooking front of property with venetian blind. 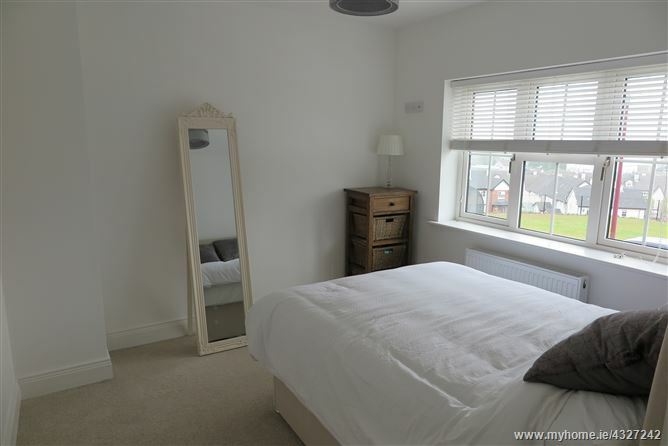 Carpeted floor,1 central light fitting, 4 door built in wardrobes, to one side of the window, 3 door built in wardrobe and other side of window and storage space. Tiled floor. One pumped shower unit with folding glass shower doors. Tile splash back and wall mounted mirror overhead. 1 radiator and one Velux window overlooking back of property. Also access to the attic from en suite. 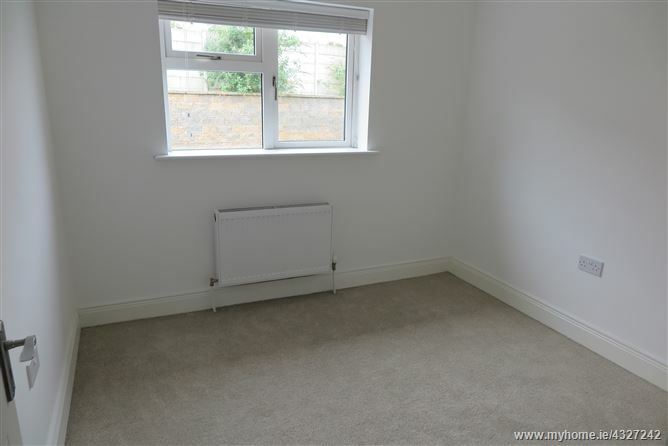 Carpet on the floor, one central light fit, 1 radiator. Window overlooking the back of property. One double socket & one telephone point. High gloss tiles on floor. White wash basin with tile splash back and wall mounted mirror overhead. 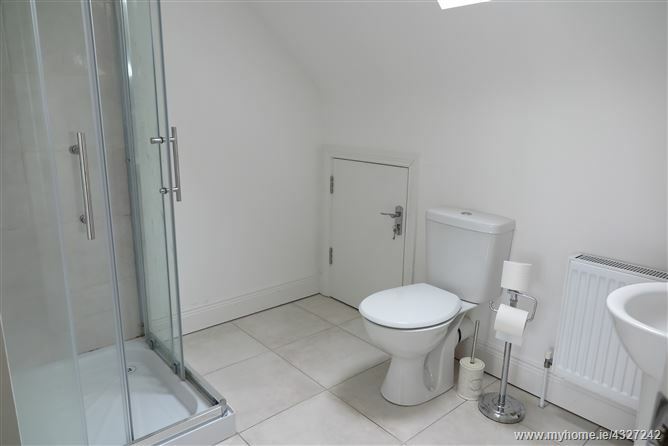 White bath/toilet. Venetian blind. Glass shower door. Cobble-lock driveway with plenty of room for two to three cars. Brick wall on either side and a lawn to the side. There is a wooden gate to the back of the property. Solid painted front door with frosted glass insert panelling. Solid stone paved patio area leading out to the garden which is laid to lawn. 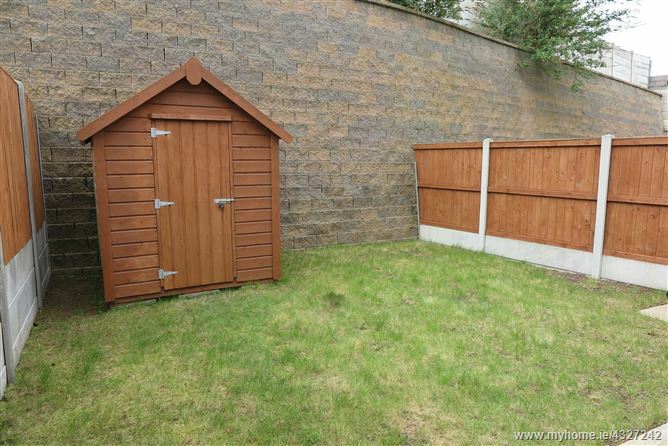 Barna shed pathway around the house and wooden fencing on either side with a brick wall at the end of the garden giving complete privacy.